4th of July - Fun for All! 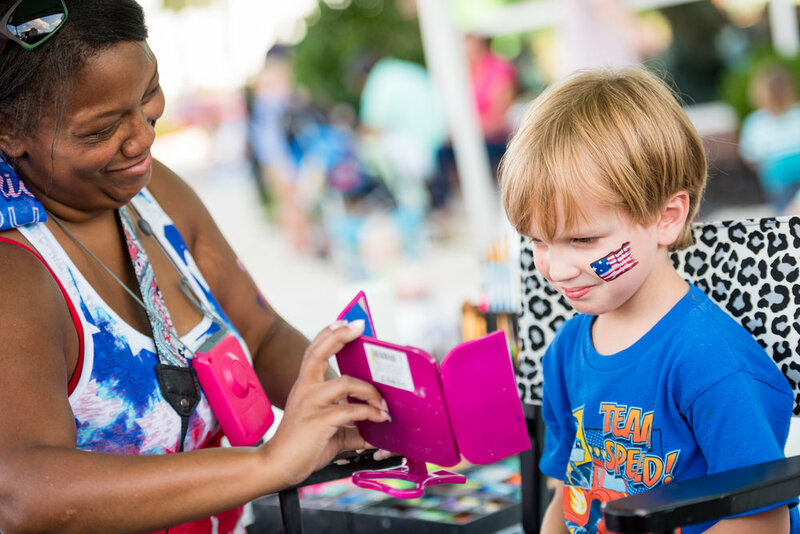 Nothing says 4th of July like watermelon, face painting, superhero characters and of course, FIREWORKS! The city of Rogers and Walmart AMP are hosting a July 4th Fireworks Spectacular complete with great food and family entertainment for all ages! The family festival will be in the parking lot outside of the Walmart AMP from 5-8 pm. There will be balloon artists, face painters and airbrush tattoo artists. You can also take a selfie with a superhero and play lawn games. Local firetrucks will give kids and kids at heart a chance to touch a truck and get an up-close look at the fire engines and talk to the firefighters. Come one, come all to the Regions Bank Watermelon Stand to enjoy the sweet, refreshing treat of summer and then head into the AMP at 6 pm with music from the Symphony of Northwest Arkansas (SoNA) beginning at 7:30. SoNA's patriotic performance is sure to entertain and celebrate the beauty and grandeur of America. The symphony will honor our nation's veterans and those who bravely serve in our nation's armed forces. At the conclusion of the SoNA performance, grab a seat on the lawn for the city of Rogers fireworks display at 9:15 pm. The show will last for about 15-20 minutes, and the playlist for the show will be live streamed on KIX 104. Gates open at 6pm. Music starts at 7:30pm.